Photo documentary about so called Armenian genocide. 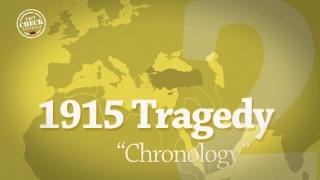 Historical Evidence - Explains the Tragedy of 1915 The Armenian Uprising of 1914 by first Prime Minister of Armenia. Watch and share.... 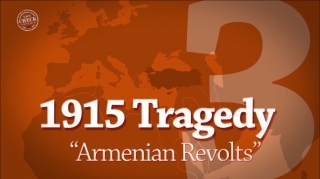 The Armenian Uprising of 1914 by first Prime Minister of Armenia. Watch and share. Another Side of the Story Learn the truth behind the lies. Watch and share.... Learn the truth behind the lies. Watch and share. 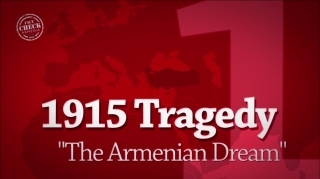 The Armenian Dream “Great Armenia Dream” was born with Russia encouraging Armenians to fight for their own country,... “Great Armenia Dream” was born with Russia encouraging Armenians to fight for their own country, and is the source of today’s Armenian 1915 Tragedy. This video is about how Armenians were deceited by Russia with “Armenia Dream”, their uncompromising attitude towards Ottoman Empire and Army, and results of their revolt. The Population of the Ottoman State and the Number of Losses Today, the losses claimed by Armenians numbers, belong to Ottoman census of 1914, so it is quite far... Today, the losses claimed by Armenians numbers, belong to Ottoman census of 1914, so it is quite far from the truth. Moreover, it is also proven by historical documents. 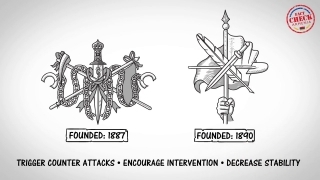 The Chronology Watch our video telling the whole story about Armenian Issues historical development.... Watch our video telling the whole story about Armenian Issues historical development. Armenian Revolts in Anatolia Watch our video to learn how Armenian Revolts caused death and sorrow to innocent lives.... Watch our video to learn how Armenian Revolts caused death and sorrow to innocent lives. Armenian Revolt The Documentary Part 1 This documentary film was banned in international broadcast. This film covers all the facts about th... This documentary film was banned in international broadcast. This film covers all the facts about the Armenian issue. Armenian Revolt The Documentary Part 3 This documentary film was banned in international broadcast. This film covers all the facts about th... This documentary film was banned in international broadcast. 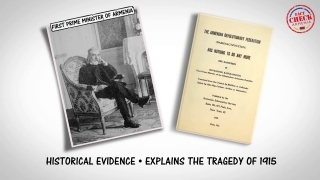 This film covers all the facts about the Armenian issue. Armenian Revolt The Documentary Part 4 This documentary film was banned in international broadcast. This film covers all the facts about th... This documentary film was banned in international broadcast. This film covers all the facts about the Armenian issue. Armenian So Called Genocide Part 5 A Turkish documentary film "Sarı Gelin" broadcasted in Turkish national channels.... A Turkish documentary film "Sarı Gelin" broadcasted in Turkish national channels. Bernard Lewis Speaking on Armenian Allegations Location: National Press Club in Washington, DC 3/25/2002 Expert: Bernard Lewis, Cleveland E. Dodg... Location: National Press Club in Washington, DC 3/25/2002 Expert: Bernard Lewis, Cleveland E. Dodge Professor Emeritus of Near Eastern Studies at Princeton University. Ed Erikson's presentation about Ottomans and Armenians Ed Erikson is an Associate of "International Research Associates". Erikson argues in his various pub... Ed Erikson is an Associate of "International Research Associates". Erikson argues in his various publications that the deportation of Armenians in 1915 were the result of a military decision process. Talks on Turkey and Armenian Issues Former USA Congressman Robert Livingston talks the facts about Armenian issues.... Former USA Congressman Robert Livingston talks the facts about Armenian issues.